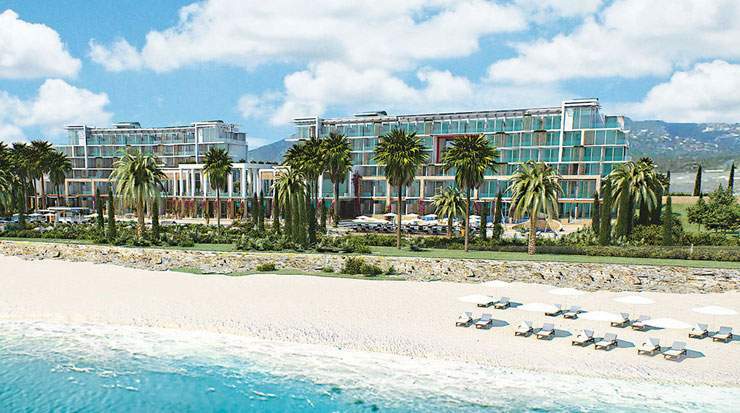 The Amavi is currently under construction by the award-winning Kanika Hotels & Resorts. 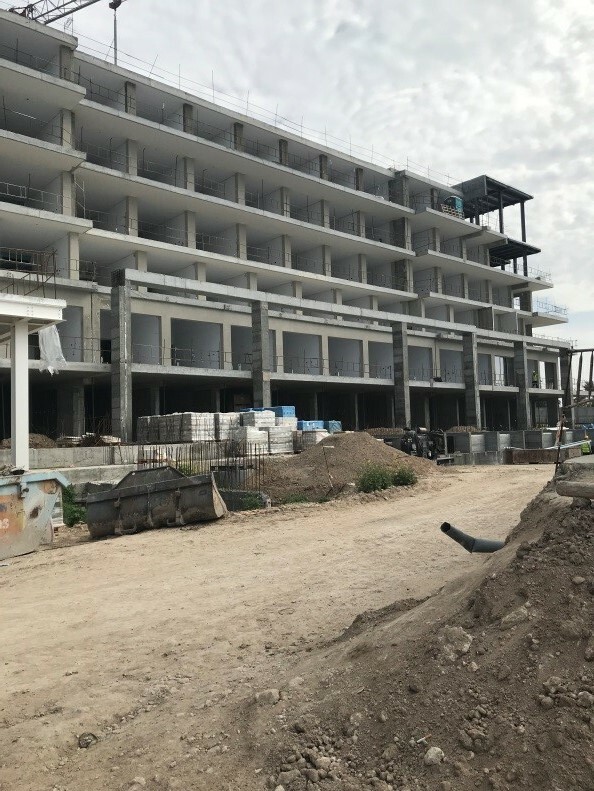 Upon completion, it will provide a unique heaven for couples; a tranquil, intimate environment where they can escape from the world outside to enjoy blissful relaxation. 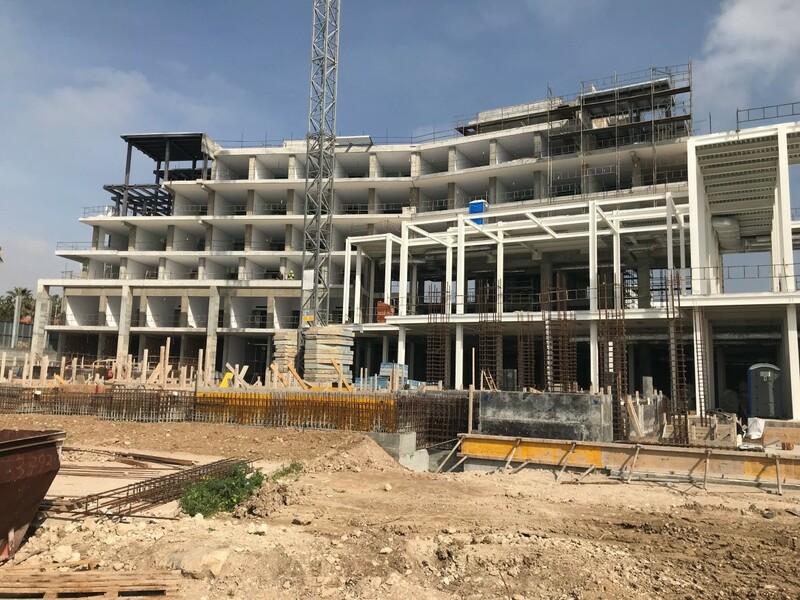 Following years of cooperation with Kanika Hotels & Resorts, Z&X Mechanical Installations has proudly been appointed by Kanika Developments for the complete mechanical services installation for Kanika Amavi Hotel in Paphos. A 5-floor hotel with 155 rooms including various suites, various public areas (bars, restaurants, etc.) 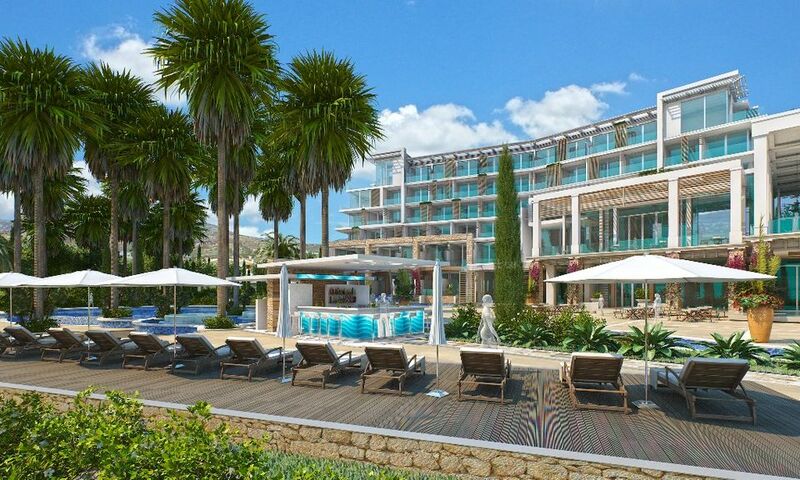 3 public pools and 14 private pools for cabana rooms. 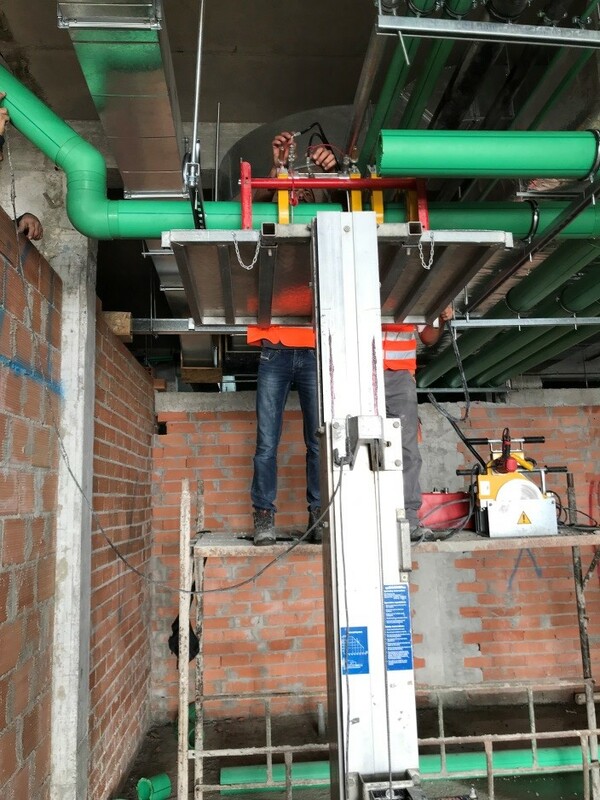 Below is the project description of the works carried out by Z&X Mechanical Installations Ltd.
A solar system is installed to provide domestic hot water .The Solar system is using all the available solar energy and at times when it’s not enough supplemented by a multipurpose heat pump on the hotel roof and or two boilers in the plant rooms. 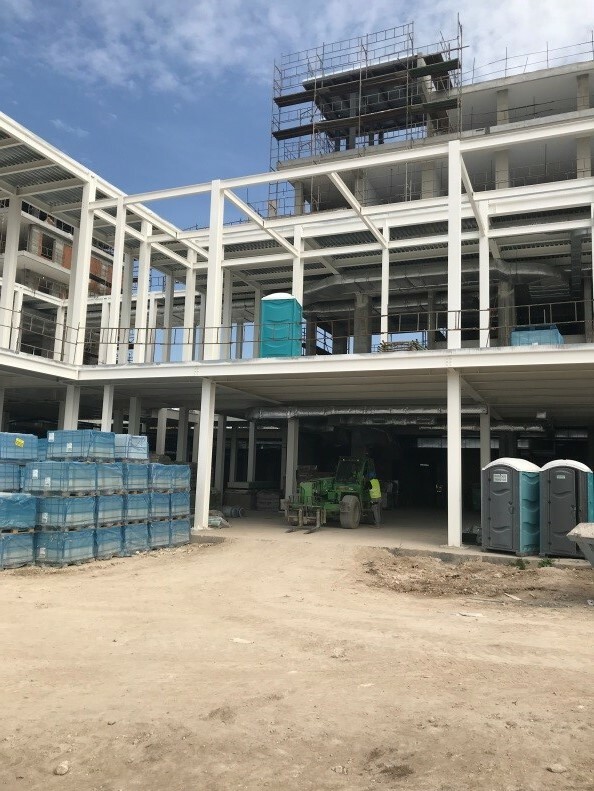 Two Light Oil/ Kerosene Boilers to supplement the solar system and the Multipurpose heat pump as well as provide heating for the various pools in the hotel. 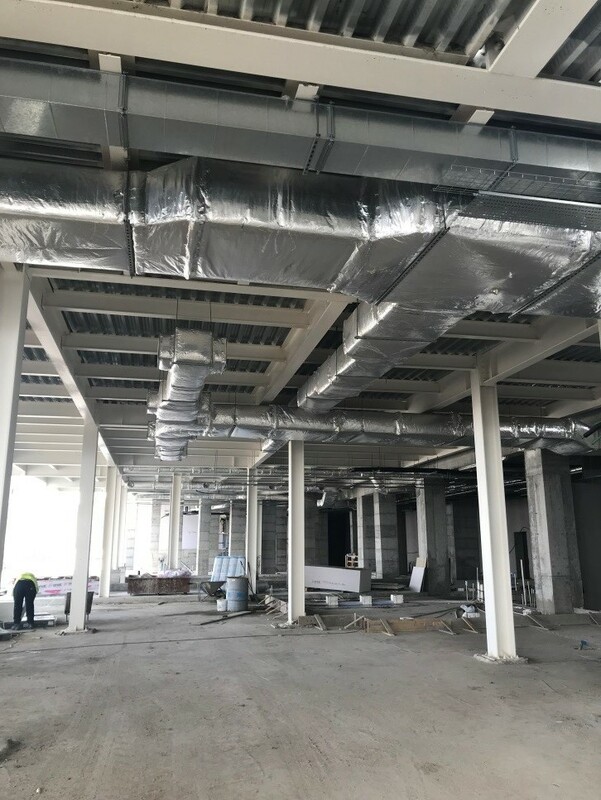 The system consists of 48 number Solar panels , 3 Hot water cylinders , One Multipurpose heat pump (Also used for Air- Conditioning at the same time), Two Boilers, heat exchanges and circulating pumps. 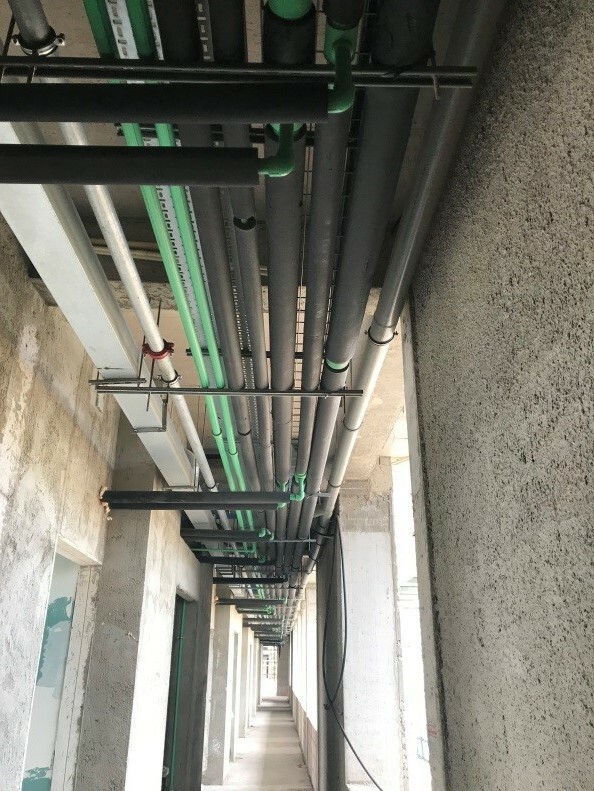 A network of PPR piping (Hot, Cold, Drinking and Toilets) distributing water throughout the hotel to all rooms and staff and public areas as required. 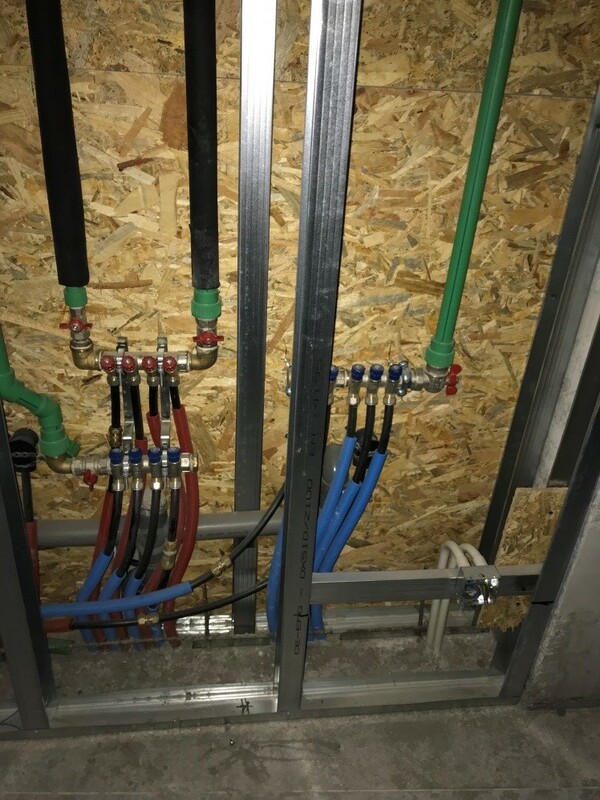 Pex C pipe in pipe piping and manifolds for the piping of all the sanitary fittings for both the hot and cold water as well as the drinking water . 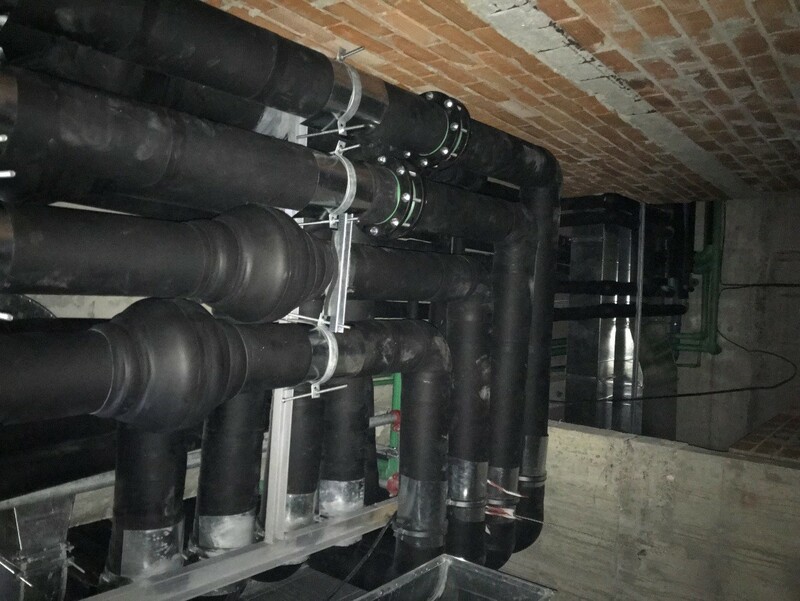 A complete sewage system consists of UPVC plastic piping within concrete slabs and foundations and PPR 12 DB exposed piping within ceilings. for all the sanitary fittings to the first outside manhole. A Number of pumping stations throughout the hotel grounds to send sewage to the main municipal pipe lines. 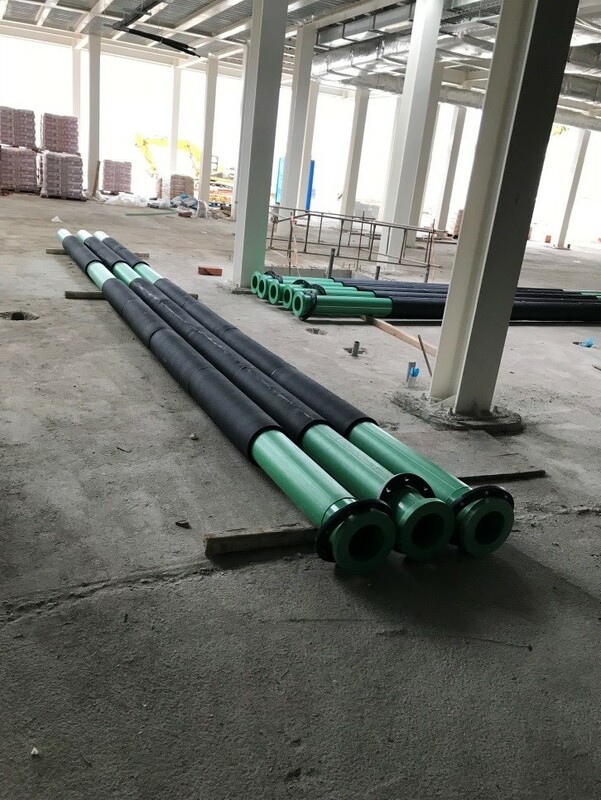 Installation and Connection of all the sanitary fittings to the plumbing and sewage piping and installation of all the accessories. An inverter pressure pump system is installed to provide high water pressure to all the sanitary fittings, saving water as well as energy. 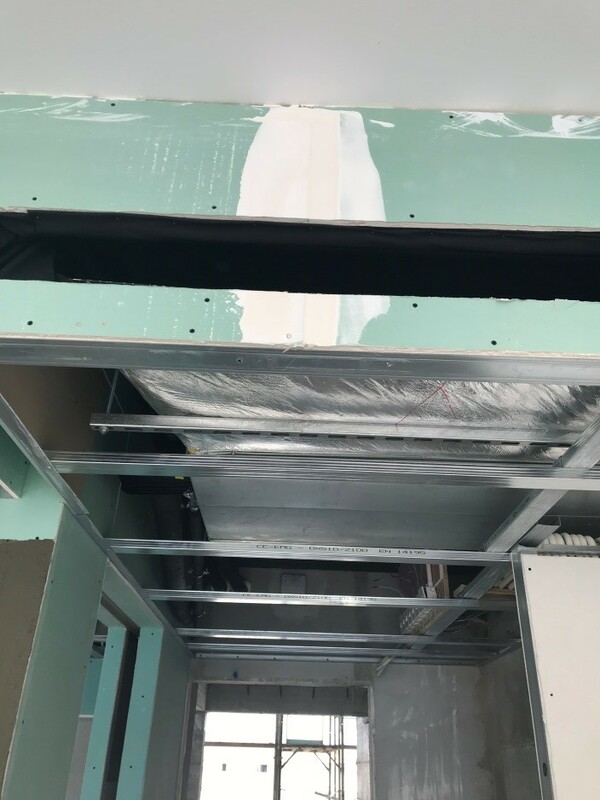 Ventilation and fresh air ducting with fans. A pump set that sends water to all fire hose reels with a Diesel back up in case of power failure. 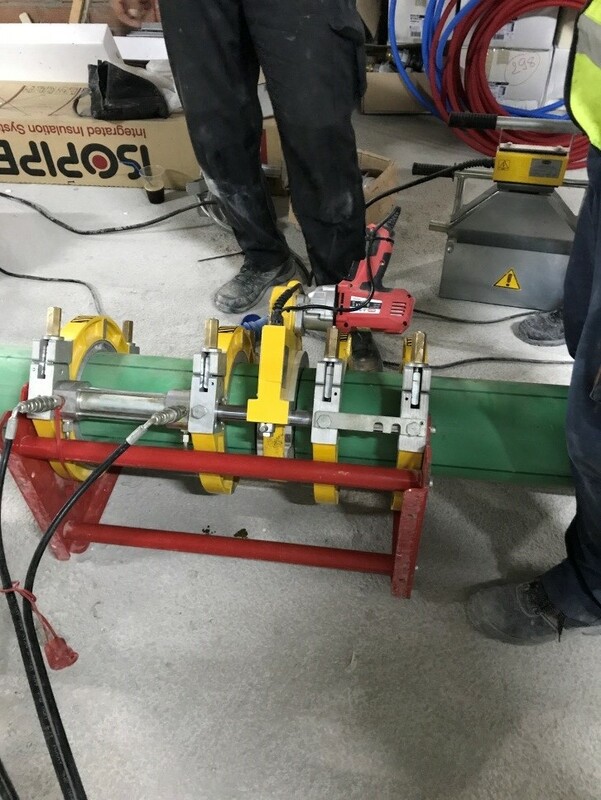 A galvanised pipe network to distribute water to all fire hose reels.